I like to debate and pit my theory against other theories. Alas however these exchanges usually degrade into ad hominem attacks or worse, “my training is better than your training” contests as opposed to a discussion on merit. However recently I almost got into a debate with a prominent thinker on dogs, Gary Wilkes. Wilkes invented the clicker tool and he commendably knocks heads with the positive-force-free-only school of dog training who would like to regulate the rest of us out of existence. Somehow we became friended on Facebook and I started to get his postings in my Facebook feed. He has interesting things to say and he’s also against mandatory neutering, so big kudos there. On his site I remained in the background since I don’t want to end up combative on someone else’s home ground but on one occasion he issued a challenge to define fear, emotion and aggression, each in a brief straightforward sentence. Thinking this would be a way to engage on the level of pure theory I felt it was a promising opportunity for a meaningful discussion (not to mention a chance to promulgate my theory). Now I’m one of those “experts“ who believes that all anti-social examples of aggression are indeed expressions of fear since in my model the fundamental impulse of the canine mind is to be social. In this vein I’ve rigorously defined fear, aggression, emotion, stress, et. al, in simple one sentence statements and I am able to do so because my theory of behavior is based on a model, one that was arrived at through an immediate-moment manner of analysis of animal behavior. In short I don’t read human thoughts (see below) into the mind of an animal to explain its behavior. The reason the mainstream has no consensus is because they are not building a model but instead are inserting human thoughts and concepts to explain behavior and this leads to all kinds of logical inconsistencies and internal contradictions that trap people into one dead end or another (as these are virtually infinite) and hence no consensus. Now I’m sure Wilkes would object by saying that certain behaviors are innate and instinctively reflexive without having anything to do with a thought (but then how are they modifiable by training?) and are rooted in the genes. But this is just an intellectual device of expedience which defers the thought (for example a human concept such as territoriality or survival) to the level of the gene as if that resolves the problem and removes the homunculus. The gene obviously isn’t thinking but apparently its metric for success remains the human concepts of maintaining territory, competing for resources and so on. So the agency of thought is seemingly removed but the invisible conceptualizer is still busy at work somewhere undefined. What is a human thought? The comparison of respective points of view, be it between two beings with their own unique perspectives or between two points in time. Eliminating comparative perspectives allowed me to develop a model for the animal mind as a flow system. And to Wilkes’ point of a doctor practicing medicine without understanding the circulatory system, he could have put it more accurately by saying- – —- without having a MODEL for how the human body works AS A FLOW SYSTEM ———- flow being why in fact we say ‘’stream” when it comes to the blood and even consciousness. Another vital benefit of a model is that it shows you internal contradictions because every statement must add up with every other statement. 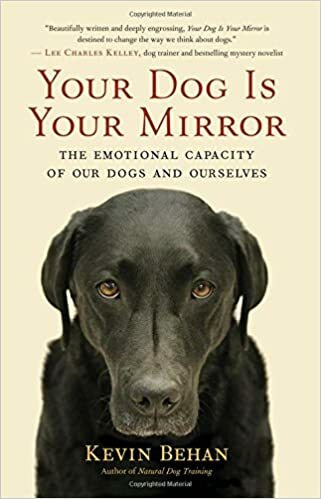 We can’t hide behind bromides such as “dogs do things for the fun of it,” “some dogs are smarter than others,” “animals are wild and unpredictable,” “exception to the rule,” “every dog is different” and so on. These are handy qualifiers that are used to putty over inconsistencies in one’s theory of the dog’s mind. This brings me to the crux of my critique that I want to state before I offer my definitions. The mind of an animal can only be understood as a Flow System predicated on the transfer of energy (mass plus momentum = Force = Energy) —-in other words the simple movement of the body is a transfer of energy and this type of analysis has nothing to do with woo-woo magical thinking —- it revolves around the mechanics of movement; a transfer of force from one individual to another, as well as from the individual to the environment. If the force transfers efficiently (via a wave mechanics) the animal feels good. This is an objective, clinically sound observation since the animal’s body is moving efficiently. This gives us a window into the mind of the animal and this understanding is the only one consistent with the latest inroads that physics is making into the nature of evolution, most especially a principle of Thermodynamics called ‘’The Constructal Law” which determines how all interactions between constituents of a system, whether it be an inanimate or animate one, can transpire. Organisms and the environment are all one system connected by the flow of matter and energy and it’s where any understanding of behavior as a dynamic process will lead, if that is, one begins with the transfer of force and works their way up to the higher cognitive processes rather than inserting human concepts and then mistakenly finding them deeper and deeper down the phylogenetic tree as one tries to account for structure. Furthermore, a flow model is consistent with the growing science of swarm intelligence which is proving that complex collective behavior works according to a systems logic, I.e. a flow dynamic. Any other treatment of behavior is a static process and can’t be said to be dynamic other than by inserting human thoughts to compensate for its deficiencies. Saying a dog has a drive to defend his territory is human narrative, it’s story telling plain and simple. So on Wilkes site I offered the following definitions and also fleshed them out with specific examples of what one experiences emotionally when driving a car. These are not esoteric definitions as they can be directly experienced by anyone who is physically (or emotionally) connected to an energy system because in these cases one’s animal mind rises to the surface of consciousness. These definitions are also based on sub-modules by which I mean one can probe deeper, for example, what is the source of emotion so that a state of attraction ensues? — What does a collapse of a state of attraction mean? and so on. Furthermore these states can be experienced directly. In other words, what does a collapse of a state of attraction FEEL LIKE? So I followed these definitions up with a real life example. For instance the reason a human is able to drive a car is because our animal mind (as opposed to our rational mind which operates as a surface overlay above our animal mind) is able to transpose the basic mechanics of how one moves their body onto the processes by which the car moves. This happens through the phenomenon of emotional projection (which is the driver assimilating the car’s c-o-g into their sense of their own physical c-o-g—-and then incorporating the momenta of other objects of attraction such as other vehicles into the resulting feeling of flow). It’s our animal, emotional mind (emotion embodying the calculus of motion) that allows us to accomplish this. Through this capacity one is able to intuitively track the movement and relative speeds of other cars and do this calculation without thinking but via feeling. The novice driver begins by thinking about it, but once they are able to apply their locomotive rhythm to the behavior of their car and the cars around them, it then smooths out into an autonomic, automatic process. Mapping via emotional projection and eliminating the thought process is what we call the learning curve. Also note the social networking dynamic at work. Each car is an object of resistance that can interfere with your movement. This means that all movements are interlaced and this means that you can’t move well unless the other cars are moving well. Traffic has to flow as an aggregate group phenomenon. So if a driver is moving along at 75mph and encounters a dawdler in the passing lane, they will start to feel themselves becoming aggressively inclined toward the driver blocking their way. They’re beginning to experience Blocked Attraction. They’re attracted to their destination, but the way isn’t open. And if a driver is moving along and suddenly there’s a trooper in the rear view mirror, they experience the Collapse of a State of Attraction and that is the experience of fear because the police have the power to interrupt the feeling of flow. These simple definitions are correlated to everyday emotional experiences and it’s pretty straightforward stuff. But then a funny thing happened on our way to the larger debate, my definitions and examples went missing. An earlier one still remains but it apparently was overlooked and we didn’t yet engage. Either Facebook lost them, or I can’t find them, or they were deleted. So in future posts and in the interest of a good debate otherwise unavailable I’m going to excerpt some of Wilkes’ provocative or illustrative statements and contrast them with my model. Of course he is welcome to debate in person, that would be the most informative. Emotion is a fysical reaction to an interpretation of an actual observation. What we will never know, is what happens in step 2 and 3. This will always be guessing and interpretation from our side. I therefore believe it does not mattter so much which particular emotion, fear or agression, causes a behaviour. It is mainly us humans that want to ‘label’ it. I think you have emotions that cause ‘desirable’ behaviour and emotions that cause ‘undesirable’ behaviour. Our job as trainers is to modify step 2, so that step 3 and 4 will also change. 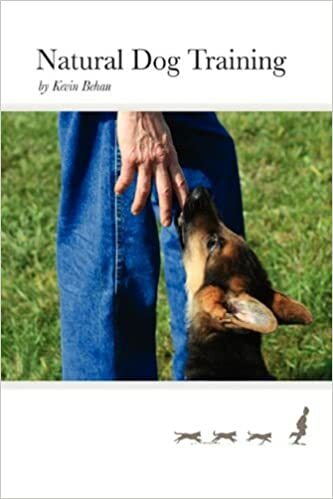 I agree that one can effectively train a dog and ignore what’s going on inside the dog’s mind (THROUGHPUT) and simply concentrate on INPUT and OUTPUT, but you will end up in a model nonetheless for THROUGHPUT (perception, mental processing) however, it will not be one derived at from conscious examination. For example, one might end up thinking that survival is a motivating factor for a dog, or that he seeks to maximize pleasure and minimize pain, or that there are a number of different emotions and some are desirable and others undesirable. One might think that pure and raw emotional experience varies between dog and human, or between species. Also this unconscious model will prove consequential and limiting when one runs into a perplexing problem behavior. And finally, this assumes that THROUGHPUT can be unrelated to INPUT and OUTPUT, that the mind has evolved as a separate and distinct agency from the natural realm in which it has evolved. Given these untested assumptions I believe we will always be undone by self-annihilating logic loops. Furthermore, there is more that can be divined about THROUGHPUT than one might imagine and I recommend the study of physics as a guide for how to go about this. I will focus on this in my next post.